Rosemary Lantz stays busier than most of the women in her community. Following the death of her mother four years ago, Rosemary is doing her best to run the household in a way that would have made her mother proud. Except gardening. Fenced and filled with weeds, she’s let her mother’s favorite spot go completely untended. Saul Petersheim has been trying to date Rosemary since they both turned sixteen five years ago, but Rosemary has turned him down repeatedly. Saul offers to put in a garden for their family. He loves gardening and it’s an excuse to be around Rosemary—but someone is sabotaging his efforts and keeping a secret that could change all their lives. 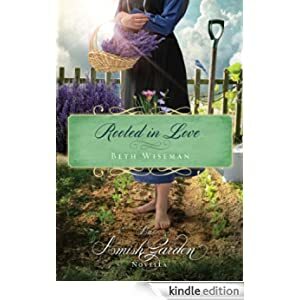 Buy this Amish romance novella for only 99 cents today.